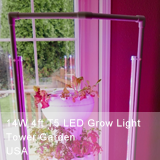 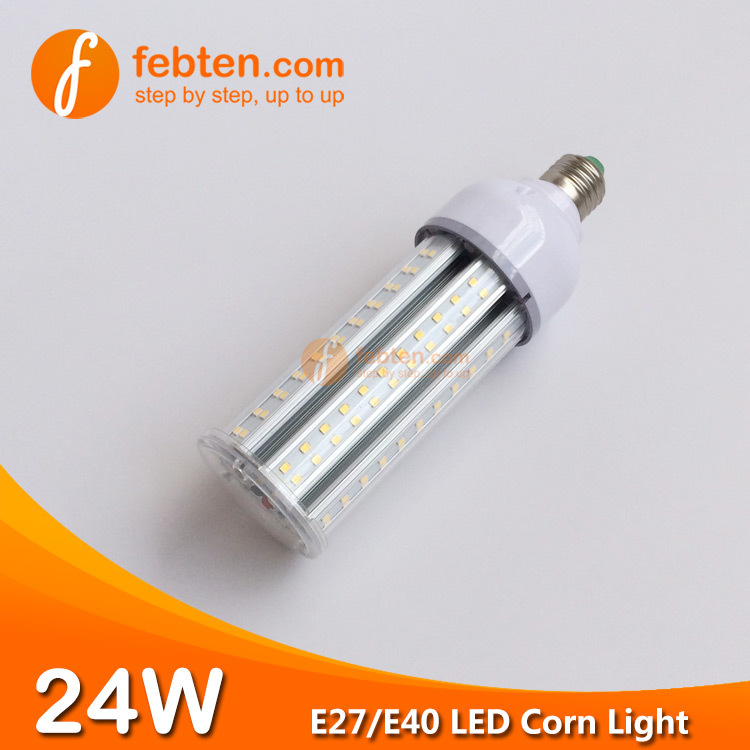 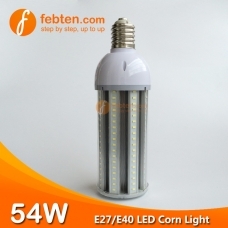 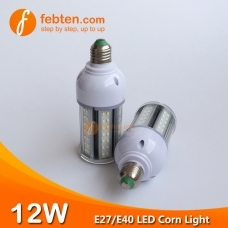 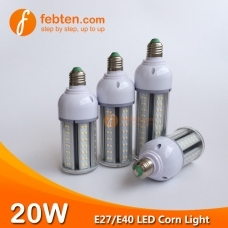 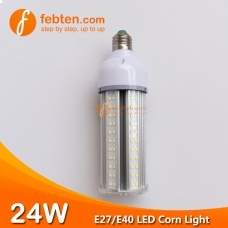 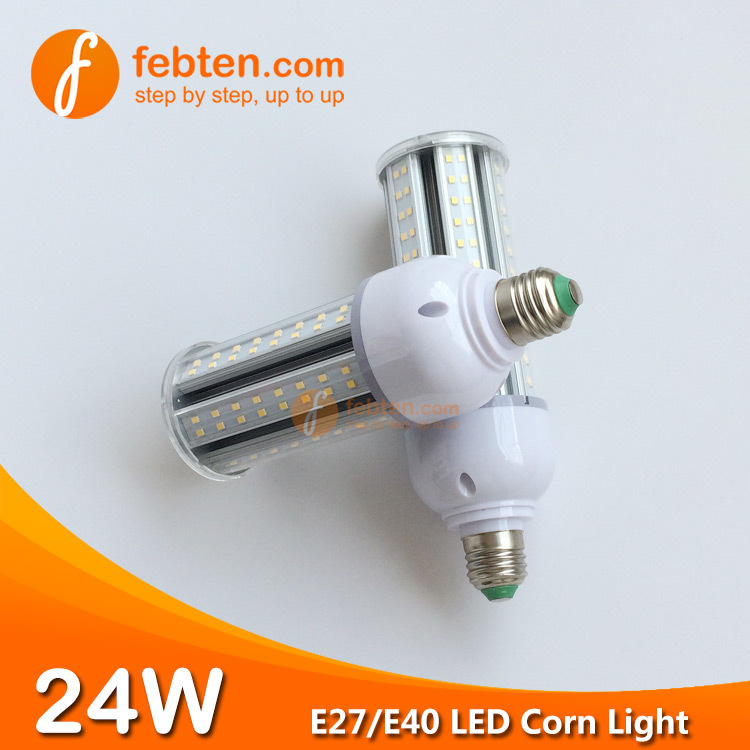 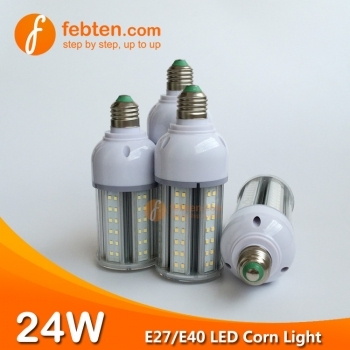 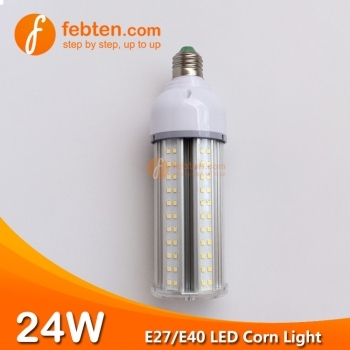 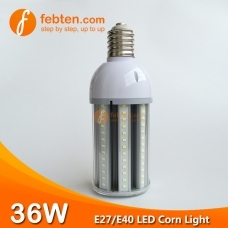 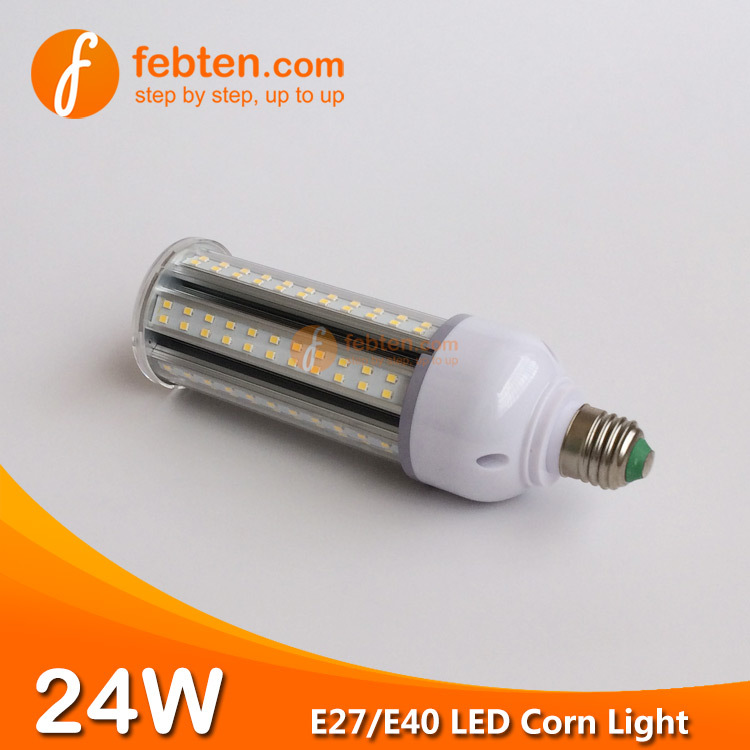 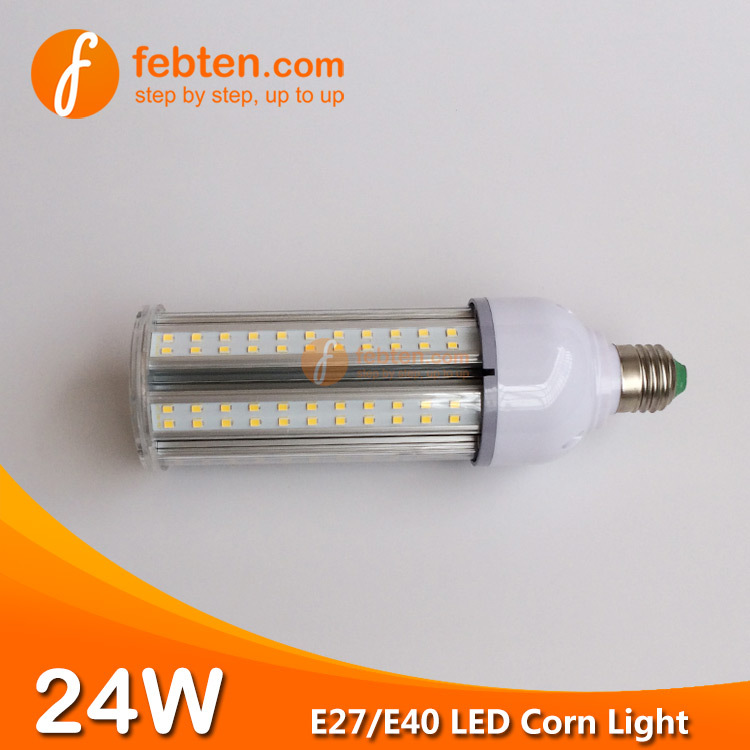 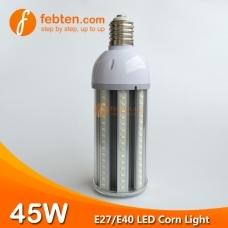 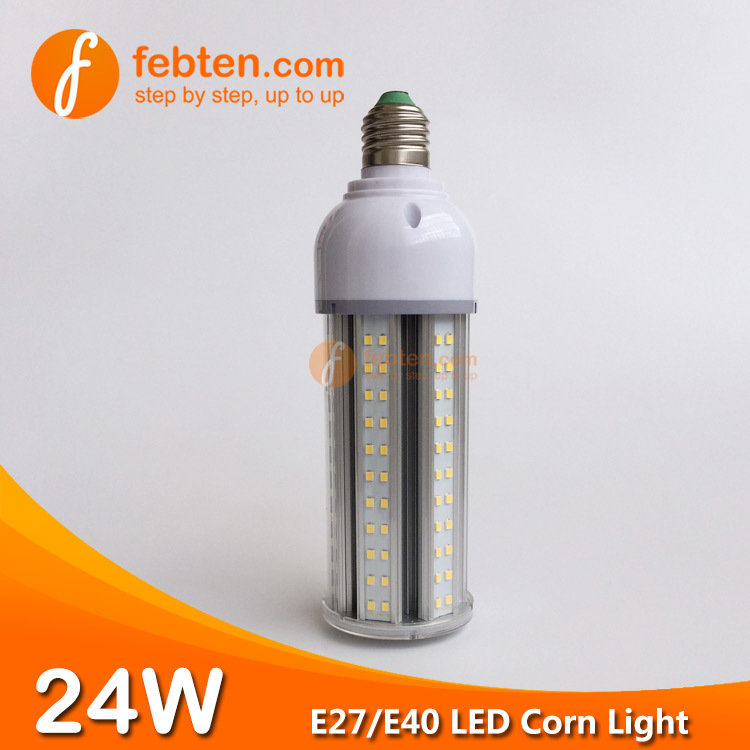 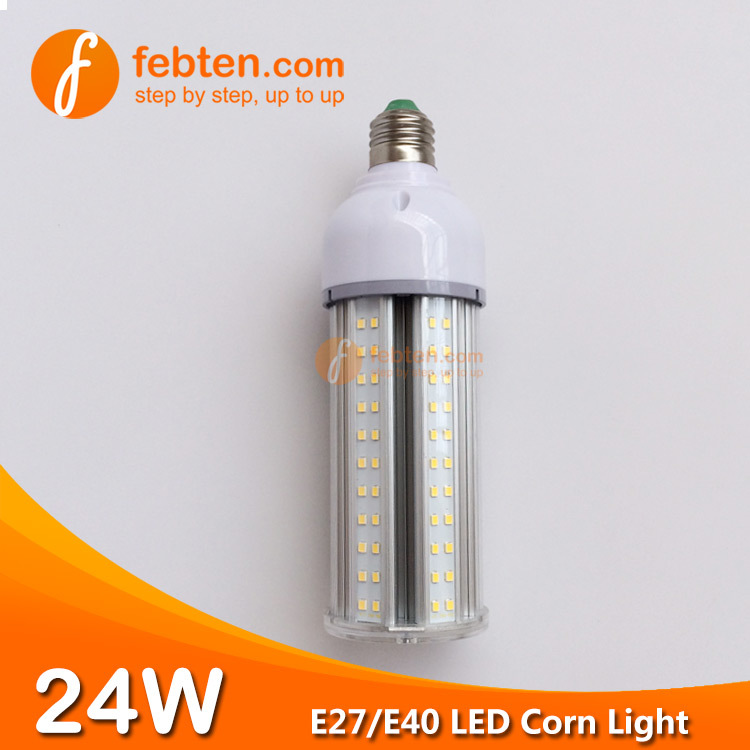 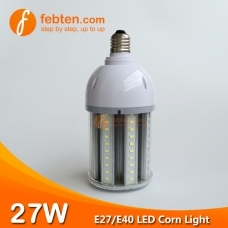 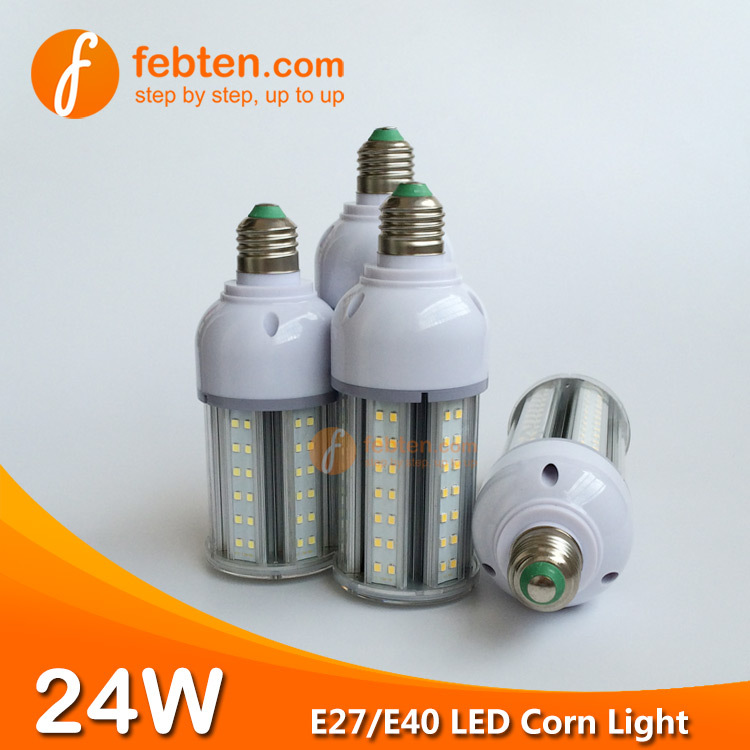 24W LED corn bulb, with clear/milky PC cover, E27/E40 lamp base, high lumen efficiency around 110LM/W after cover, CE RoHS approval, 3 years warranty. 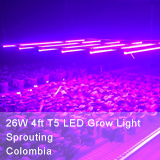 360degree beam angle for uniform lighting area. 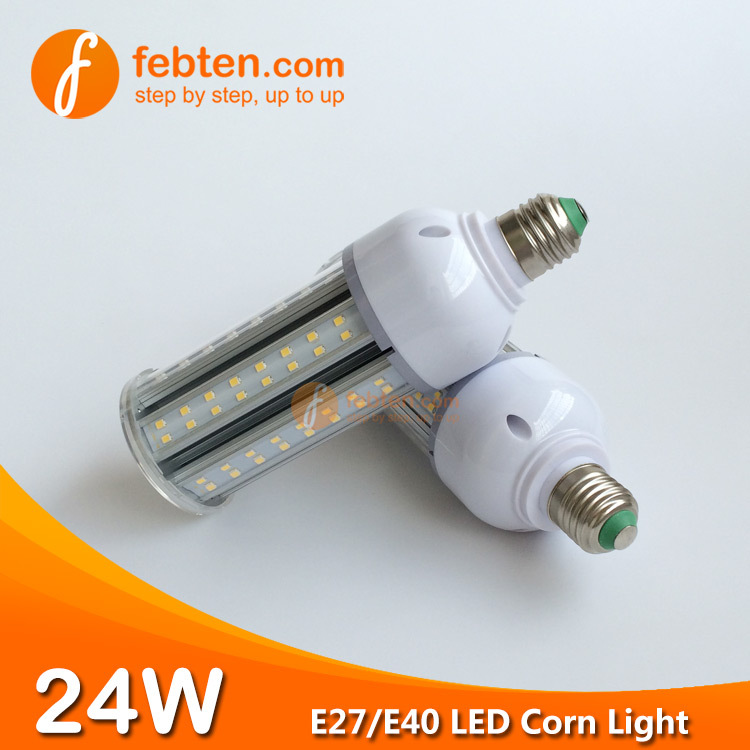 Without fan inside, quiet working. 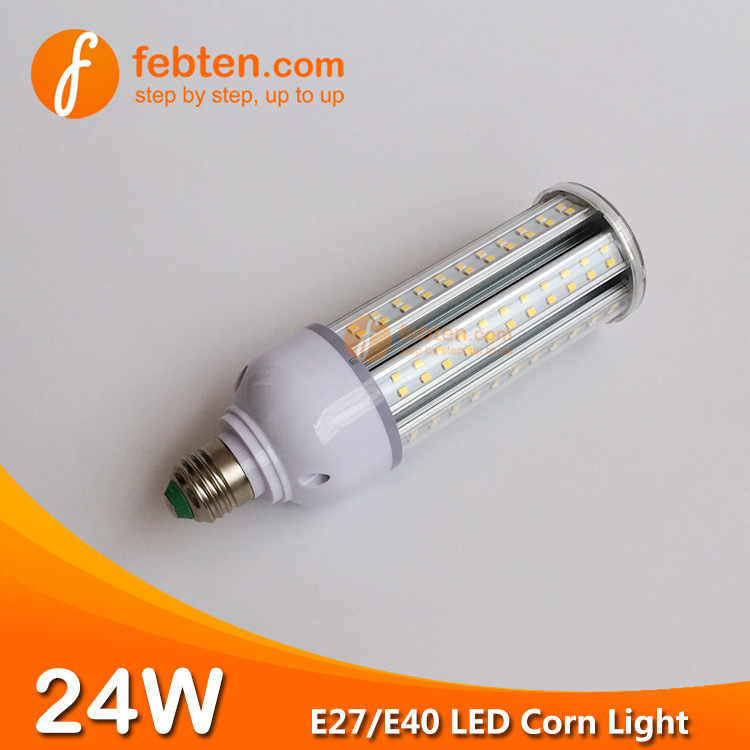 The low wattage with heat sink for good heat dissipation. 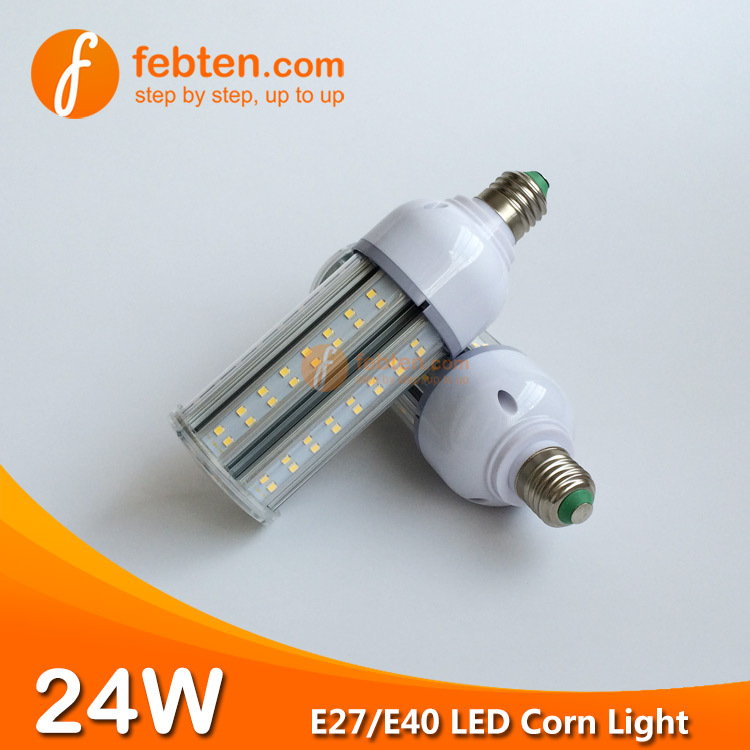 Eistar SMD2835 LED light source. 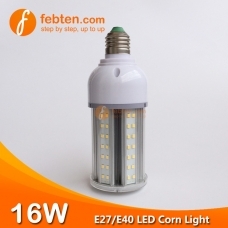 With PC cover for dustproof and moistureproof, clear or frosted for choice. 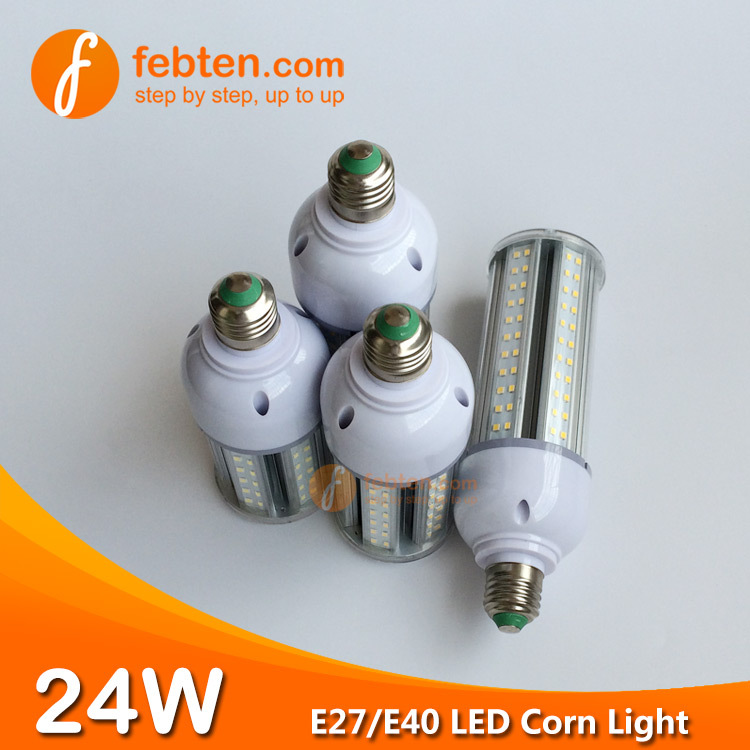 Warm, natural or cool white are available. 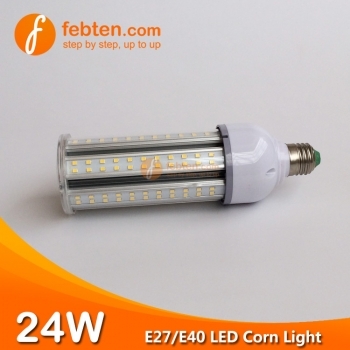 After cover, high lumen efficiency around 110LM/W. 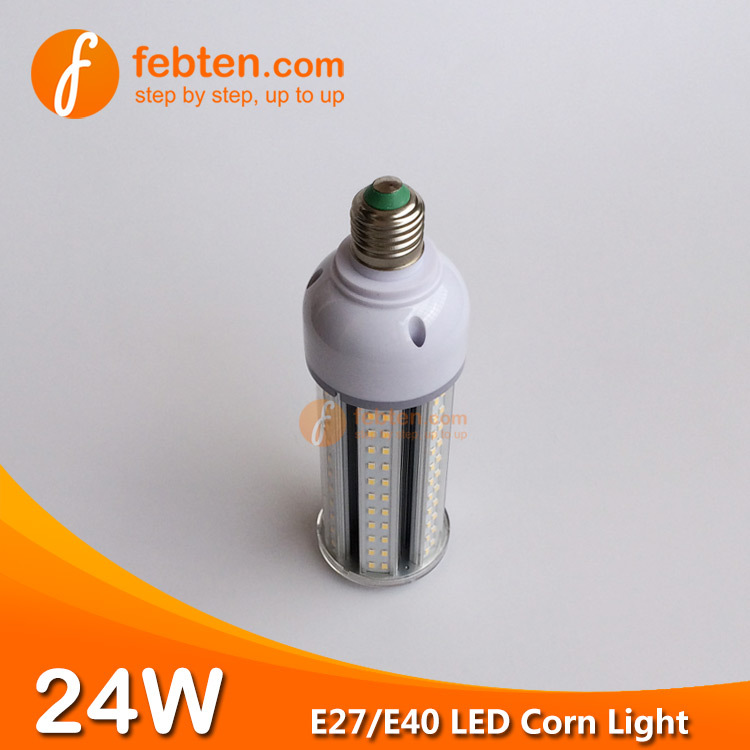 Can offer laser printing of logo information on the lamp.